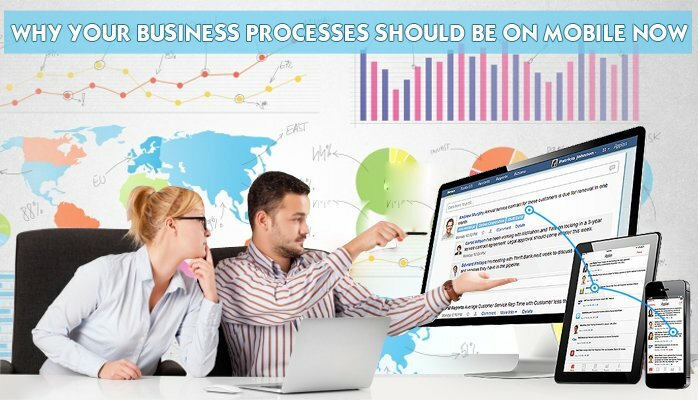 applications and tools that employees can use to get work done.Sometimes the best way to simplify complex business processes and make this more easier for enterprise with the help of mobiles.People are an important part of many business processes, but their availability can become a limiting factor to a speedy completion. By using mobile as a channel for them to interact with the business process.Just as important is the growing number of mobile apps developed or adapted for use by individuals in Lines of Business and functional areas beyond the view of IT. 1.1st stage starting a processes:A mobile worker means the person will do work ,Giving her the ability to kick off a process before she lands at a desk means that the wheels of business can start to turn as early as possible taking less time.work should be done by only requiring the minimum information and prefilling as much as possible. Time and value can start slipping while the process waits for a key person to come back to his desk and press the button. Allowing someone to authorize by using a secure mobile app means that he can do it from anywhere. The interface should be simple, for example by sending a notification to the person’s mobile device and an application where he can select the accept or decline decision. Keeping people informed of progress means quicker action by those people and improved satisfaction. For example, a mobile app could be used to keep a claimant informed of the progress of his insurance claim by sending a notification when the process reaches specific states (claim approved, payment made or a reminder that further information is required). This means that the customer is told rather than having to call in or visit a website. Improve operational efficiency and customer satisfaction, consider how you might gain an advantage by bringing together these two technologies—mobile and business process automation.An automated business process workflow is exactly the thing you have been dreaming about.